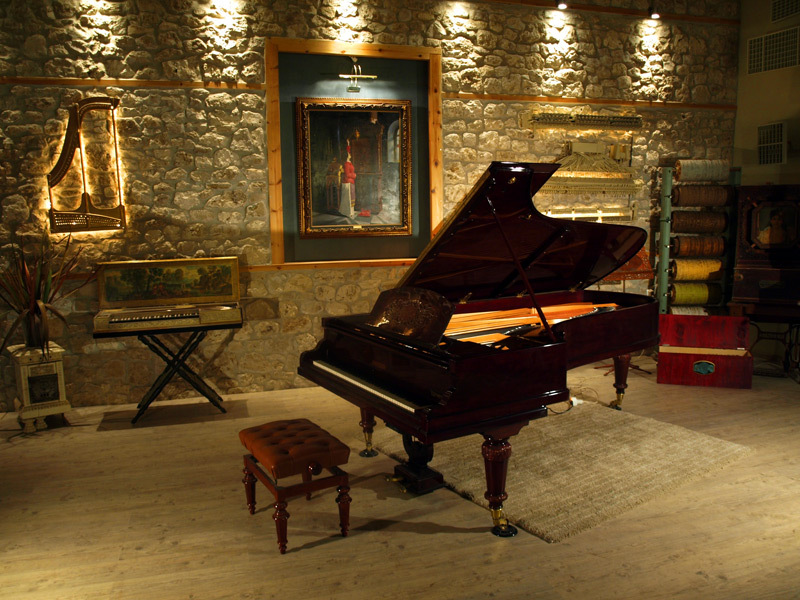 We are dealers on many well known piano brands and piano varieties. 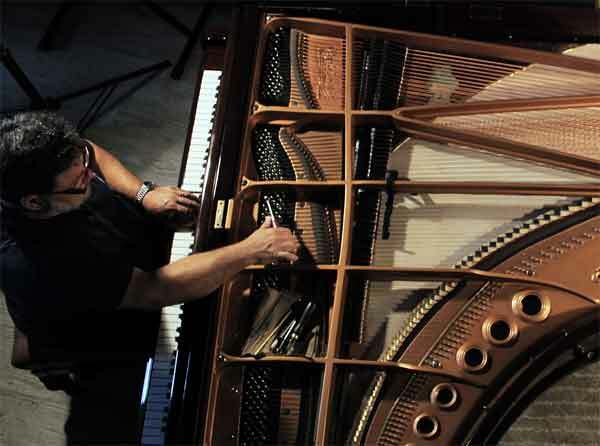 We are dealing with Ritmüller, Samick, Petrof, Pearl River, Restored Yamaha, Ritter and Rönisch pianos. 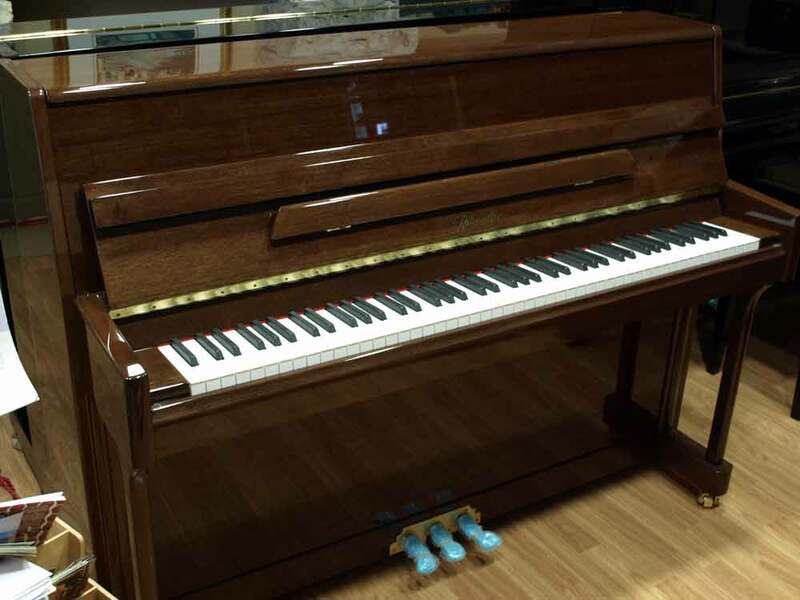 We highly recommend the Ritmüller Pianos for its low cost/ high performance. We also deal with second hand and restored pianos. Our goal is to supply all possible information to enable our buyer to have a better judgment for the right choice. Our prices are well below recommended retail price and we provide full coverage on guarantee, on piano preperation, on transport, stools, service and payment installments. 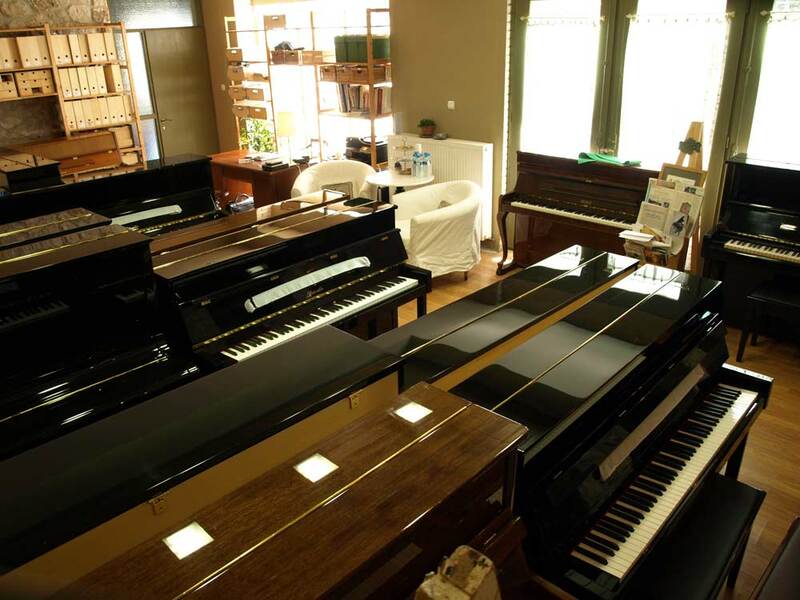 Our shop provides free parking, study room, seminars on piano estimation and is supported by one of the largest and most efficient piano workshops in Europe. When I was an elementary school student, my parents exchanged a small appartment for the price of an avarage quality upright piano. When my son was born, that kind of mid-range upright piano costed as much as a good quality large family car. Today the same piano costs as much as a good refrigirator. A lot has changed during the last 40 years. Most high-end European (mainly German) piano builders sadly left the market not being able to cope with the cost pressure and Asian piano competitiveness. The few remaining ones are really working hard to stay alive with high quality and moderatively low cost pianos. On the other hand, first the Japanese, then the Korean and now the Chinese and Indonesian pianos, are gaining more ground, quality and acceptance. They first appeared at the very low end market level -sometimes unacceptable- and nowdays they truly claim respect fulfilling most of the Global piano demand. There are no bad Asian pianos any longer- they are all well above average and some are already penetrating the “average European” quality level with an excellent cost/quality ratio. We provide 45′ seminars condensed on piano acoustics and piano action. They are explained seperately giving a practical approach with comparative examples making it easy for the beginner to understand and evaluate pianos. Most pianists are unaware that the piano ages unlike a violin, a guitar etc. Pianos are made for a generation. After 30-50 years the sooundboard collapses (string pressure, climate) and the action becomes unresponsive (wear, climate). The sound detiriorates into a fry, sharp and short aggressive noise/sound. With the low cost/ high performance Asian pianos that we are dealing the last 5 years it is more and more unappropriate to invest on an old upright pianos restoration. The cost is high and we still end up with an old piano, as we do not charge the soundboard. Full reconstruction including soundboard replacement is only recommended on professional grand pianos where it does make sence. Why a grand instead of an upright? In our seminars we practically explain the advantages of the grand pianos action. We unmistify the secrets of fine uprights and work on the question of whether a medium grand is better than a fine upright, both costing the same.